Today we are celebrating close family ties. You don't have to homeschool to get them, but it helps! Let me tell you about one of our favorite aspects of home education: setting our own calendar! Because we are not tied to the local school's calendar year, we have the freedom to take a break whenever needed, or continue on to the end of the school year without as many breaks and have a longer summer. Being able to set our own schedule has allowed us to build better family ties. We have vacationed in the off-season many times, and we can take a long weekend to go visit the cousins whenever the dads can get their schedules aligned. Our girls have spent a week at "hotel Grandma" more than once. Not everyone is into homeschooling. That's ok too. What I want to focus on is the ability to choose. You as the parent need to choose the best educational situation for your children. 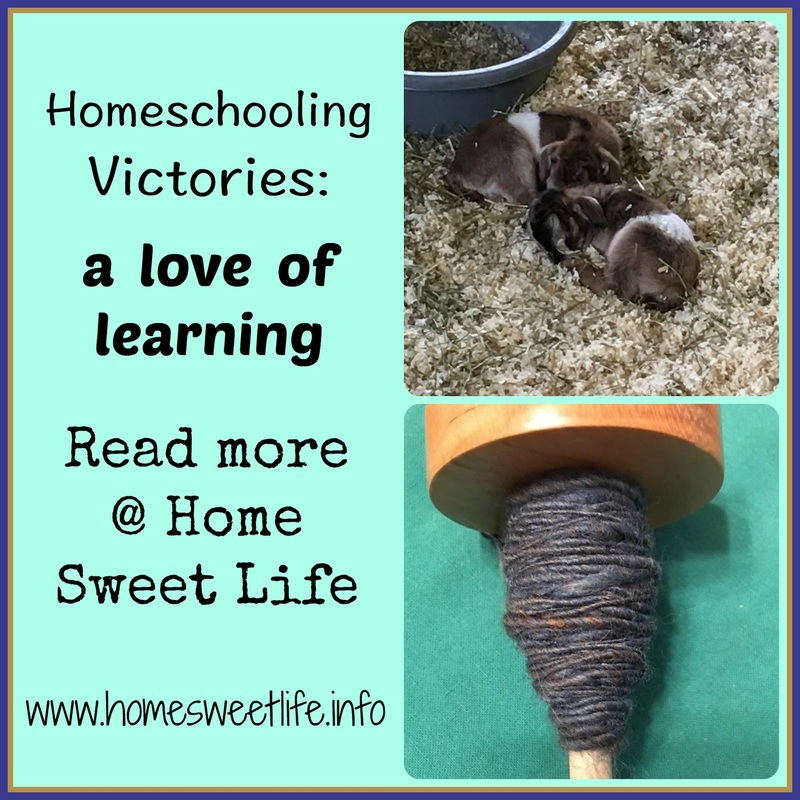 We have chosen homeschooling and for us it has worked really well. It has given us the opportunity to live a learning lifestyle for the past 15 years. We have learned (and travelled) together. 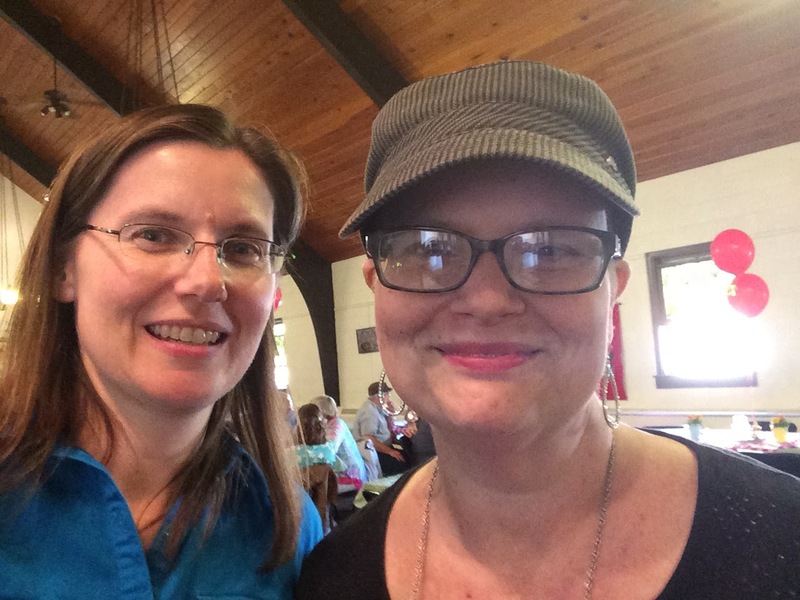 We've been to sporting events, art shows, botanical gardens, and Civil War battlefields. We've spent time visiting the cousins, and time in the woods by ourselves. Whatever your family relationship when you start homeschooling, it will be tested, tried, stretched, and refined over the years. It has been the very best difficult choice for us. It is often hard, usually tiring, but oh - so much fun! 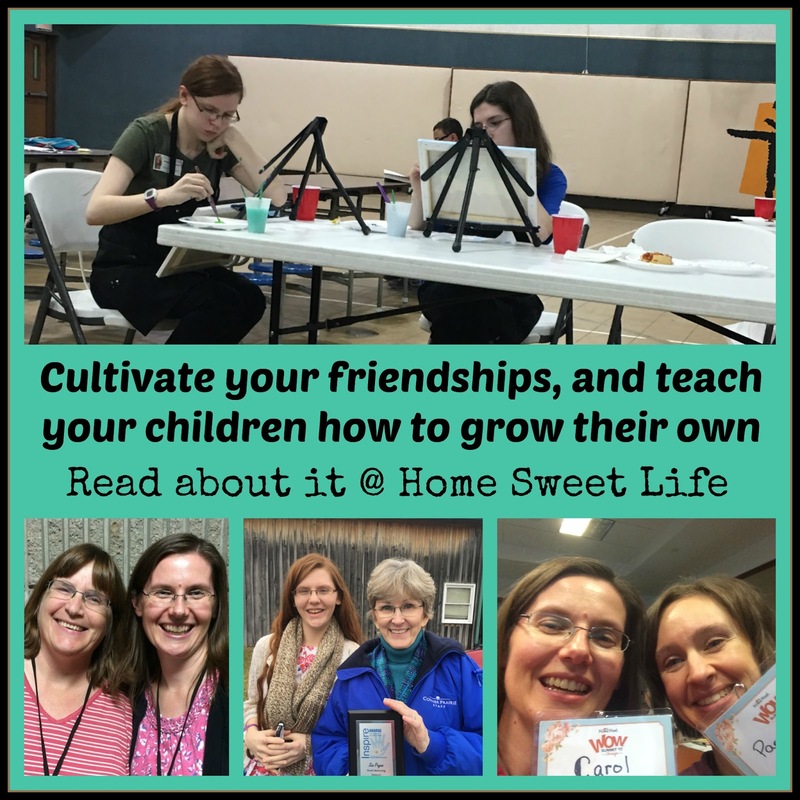 Homeschooling builds strong families - because you're around each other so much. You cannot let issues fester, you are forced to deal with them, forgive each other, and move on. Over the years I have heard this phrase way too many times, and it makes me sad, "I could never homeschool my kids, I couldn't stand to be around them that much." Oh, how much you have missed by not being around your children as they learn, grow, and explore. How much I have gained by being refined through this home education journey! Think about the kind of relationship you wish you had with your children - homeschooling can let that happen. It has for us. Having time to pour into your children every day more than makes up for the times when we fall short of being a great parent. It gives us genuine relationship, and a chance to influence our children for their good. 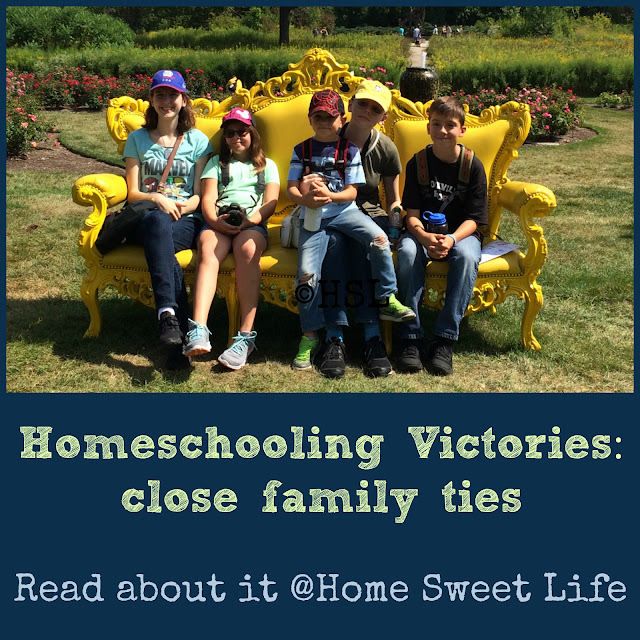 Today I'm celebrating the close family ties we have made through homeschooling. What are you celebrating today?! The homeschooling victory we are celebrating today is the ability to follow your interests and chase down those rabbit trails with glee! One of the most fun things about homeschooling is being able to allow our children the time to follow their interests. Their ability to learn about something new is limited only by their imaginations, and our ability to give them school credit for it is vastly different than in a traditional school. We have the freedom to add things together in a way that traditional one-subject classrooms do not have. We have always followed a Charlotte Mason style of education for our girls, and that continues even today as Arlene is in her senior year of high school. 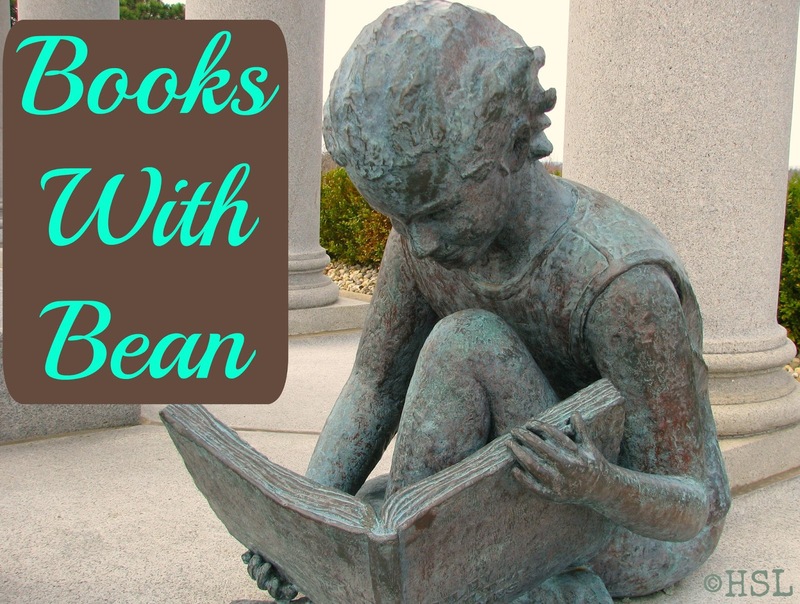 We use short lessons, narration, and living books a much as possible. We have expanded on these ideas over the years and used them for our own benefit. Keeping book work concise and limited, and allowing a lot of time for nature study and outdoor play when our girls were little led to them having a lot of time for field trips. And on those trips we followed their interests as much as possible. Basically we field tripped the way through their school years as much as possible. I call this E3 learning: eclectic experiential education. It is hands-on learning at its best because it often immerses them in a new environment while they learn. It allows them to follow their interests and still meet the basic necessary requirements for graduation. A lot of their high school credits were earned away from home. Whether you term it delight-directed learning, unit studies on the go, or E3 learning, it all gives you the flexibility to care more about your child being well-educated than about them being classroom-educated. Our girls read a lot, they've always been a regular fixture at our local library. When they were little, if we did not visit each week, the children's librarians would ask what adventures we had been on. When choosing coursework for high school, I often assigned them several smaller, living books, and a lot of hands-on experiments or activities instead of handing them a textbook. One of the hardest lessons for most homeschooling parents to learn is how to relax. 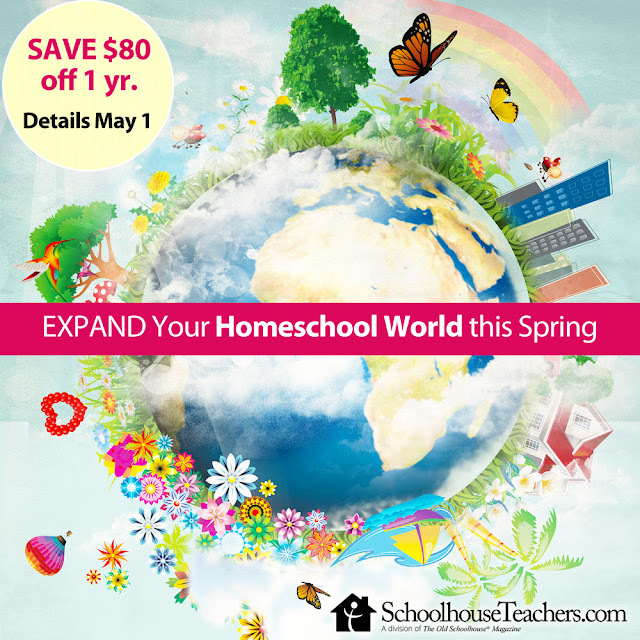 How to enjoy the freedom homeschooling offers. Stop stressing yourself and your children out by comparing what they are doing to what someone else is doing. You can meet all of your state's requirements and still have fun! Both Emily and Arlene have spent several years volunteering at Conner Prairie - a living history museum - where part of their job was to dress in period appropriate clothing and 'be' a person from Indiana in the 1800's. Arlene's time period is 1863. She is smack-dab in the middle of the Civil War. Her desire to be the best she can at her acting job has spurred her on to study the Civil War beyond anything you might find in a traditional high school textbook. She reads, researches, asks questions of other re-enactors from across the US, and occasionally attends meetings at our local historical society. 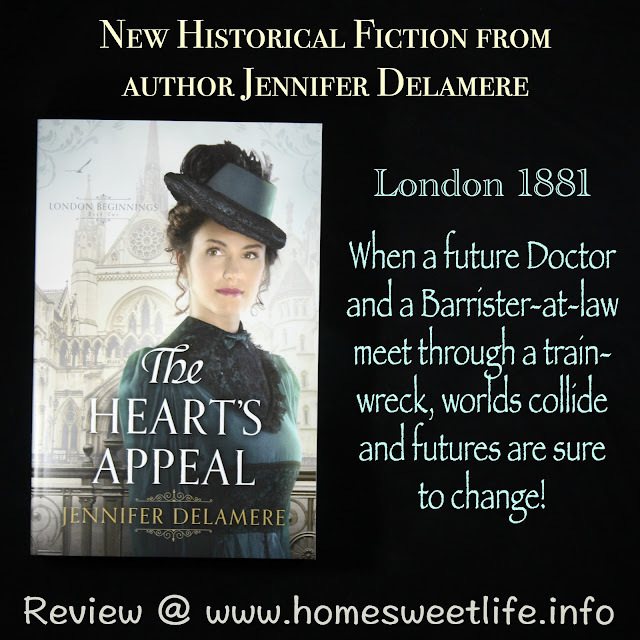 She took it upon herself to follow that interest in the Civil War and learn more. Another thing both girls have really enjoyed is the youth spinning program at Conner Prairie. Thanks to their mentor Sue, they've both learned to spin wool and ply yarn well, and Arlene has learned how to be an excellent weaver. They have helped the younger kids learn how to spin and improve their skills. These past two years Arlene has taken a real leadership position in the youth textiles program and devoted extra hours to helping the other youth succeed as well. She even taught me how to use a drop spindle! Whatever interests your children have, whether it is horses or trucks, photography or zoology, allow them the time to pursue those interests. Follow down those rabbit trails with them - it just might lead to your own Wonderland! 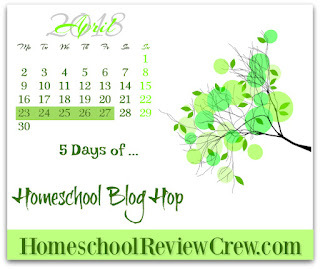 Today begins the Homeschool Review Crew's annual Spring Blog Hop. This year we decided to let each member of the blog hop team choose their own home education related topic - so you are in for some real treats! 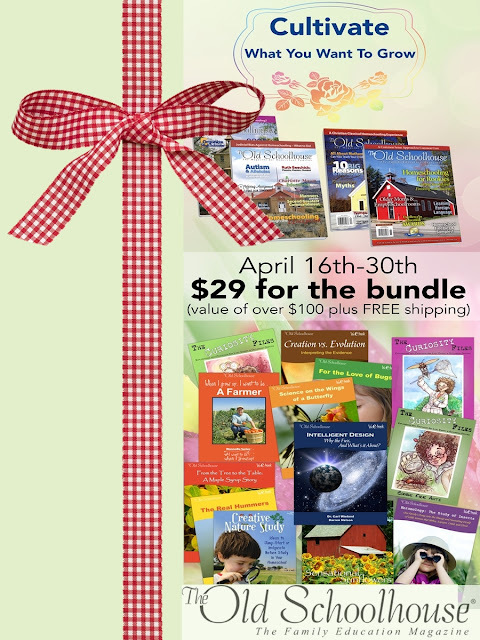 Everything from planning your first year of homeschooling to what happens after graduation! For our part, I choose to look back over our 15 years of educating our girls and choose some homeschooling victories to share with you. I hope you enjoy this week's posts. To see what everyone else is sharing, just click the links at the bottom of this post. Our first goal was not to re-create school at home, but rather to offer our girls an education tailored to their needs. One that helped strengthen them in their weaker areas, while allowing them to excel at their strengths. 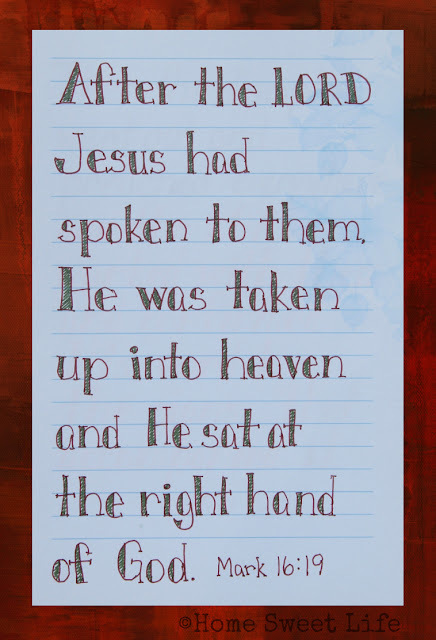 As such, our days were widely varied, and we rarely used a desk, unless it was to hold our art supplies! Our goal was to instill a love of learning, and I truly believe we succeeded! Not only do our daughters love to learn, they also love to help others learn. Emily is almost 20 and studying to become a librarian. Her goals are to help adults overcome illiteracy and to make libraries more user friendly for those with learning challenges like dyslexia or dysgraphia. Besides sharing her love of books, she enjoys teaching children about spinning wool into yarn, about animals, and about superheroes. Arlene is almost 18 and in her last year of high school. She excels in textiles, particularly spinning and weaving, and is always wanting to learn more, plus share what she already knows with others. She is a huge cheerleader for the youth spinning teams at Conner Prairie and is always trying to mentor younger spinners and weavers to help them improve their craft. Arlene has been learning about Indiana's Civil War history for several years and shares her passion for it on the grounds at Conner Prairie, both in first and third person interpretation areas. Where does a love of learning come from? From God. Our children are born with a fascination for exploring new things, and it is our job as parents to not snuff it out! But wait...what if my kids are bored with learning? Fear not! You can rekindle that love of learning in them. It just takes patience and time and room to grow. You need to stop thinking about how your children compare to the kids down the street or how they compare to their cousins and focus on making learning fun again. Our favorite ways to enjoy learning include art supplies and time spent outdoors. Have you ever heard of square foot exploration? You take a 4 foot long string and make a one foot square out in the yard. Now give your child a paper and some crayons or colored pencils and let them record what they find. It is not a race, just a fun way to sit outside for 15-30 minutes and learn how to observe. Maybe all they think they see is grass, or dirt, or sand. Give them time and let them find the worm, the ant, or the tip of a blade of grass. Let them look for tiny flowers or aphids on the back of a leaf. It is time to not be rushed. Maybe hand them a magnifying glass and walk back over to your own square. Too often we want our children to hurry up and finish a lesson so we can move on to the next thing. What if the next thing is really doing nothing? Sometimes our children's greatest need is to relax. 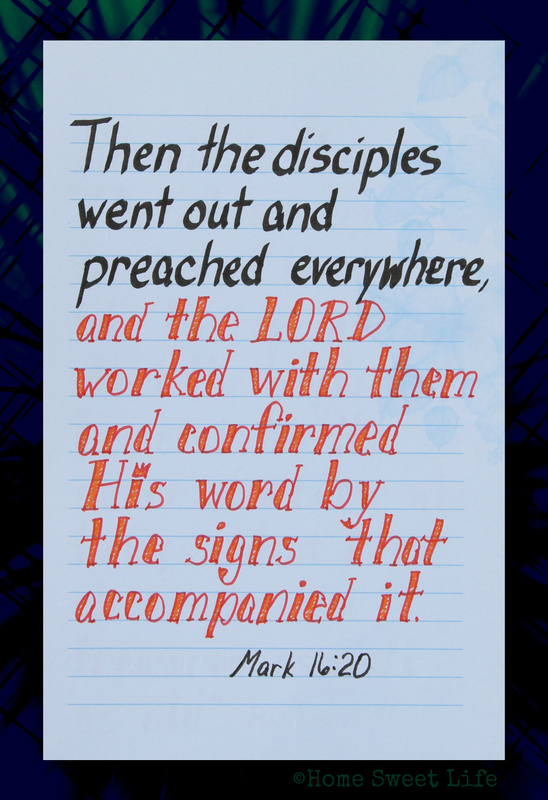 To watch with their eyes and listen with their ears and see what God has placed around them. This learning to be at peace in a natural setting is a great lesson to absorb when they are young. It grounds them to the natural world and can be used to make them better stewards of the resources God will someday place in their hands. Will your kids get dirty? Oh, I hope so! God made them washable for a reason! Let nature soak into their souls at an early age and God will use it to speak His lessons to them as they grow up. I still have a love of learning inside of me. My parents cultivated it by letting me explore: the backyard, the art museum, the beach, the woods. Kurt and I have tried our best to create a home environment where everyone is free to explore new things and learn at their own pace. Do you have enough down time in your schedule for your children to explore? If not, it is time to re-think your schedule and add in some margin. Some unplanned time each week where a love of learning can flourish. Allow yourself some time to learn something new as well. Our children learn more from what they see us doing than what they hear us saying. When did you last learn something new? Just a couple weeks ago Arlene started teaching me how to use a drop spindle to turn wool into yarn. It is not easy, but I am having fun learning! If you want to see how it is going you can check out our Instagram feed. Stop back by tomorrow to hear about another great homeschooling victory! So, if your children are nutty for wildlife, or you need a swift and easy way to cover nature and the outside world, check out the bundle sale that includes 4 print magazines and 13 digital products for only $29! 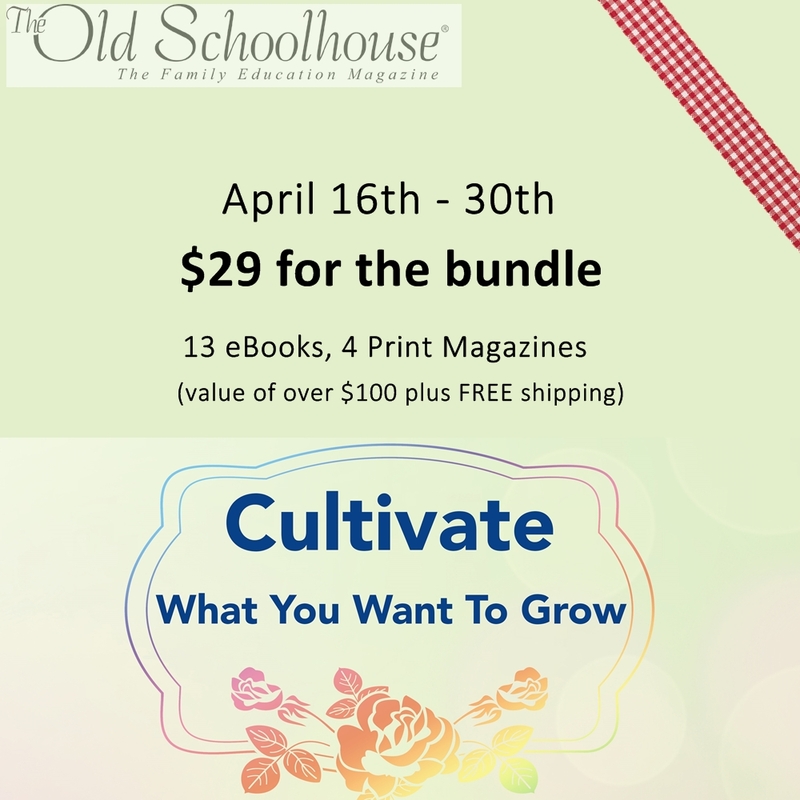 It is the "Cultivate What You Want to Grow" bundle, and covers all sort of natural wonders, from how sunflowers grow to zombie fire ants. 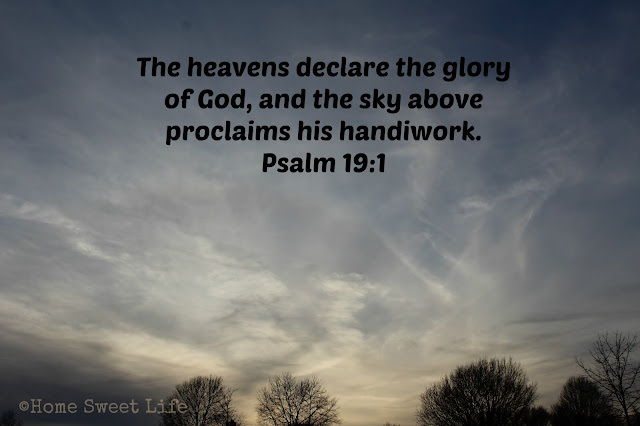 And ... if you're still really struggling to incorporate nature into your homeschool - fear not - check out Creative Nature Study, one of the 13 digital products. Remember, next week is the Spring Blog Hop, and I think you'll be both encouraged and surprised by some of the great articles coming up from members of the Homeschool Review Crew. My friend Hillary over at Walking Fruitfully is writing about post-graduation options other than college. I'm looking forward to reading her words of wisdom, and hope you'll be sure to stop in each day to read our offerings and then hop over to read hers. This home education journey takes a lot of twists and turns, and it is great to know you have options that will work for all of your kids! We'll be off in nature ourselves this weekend. Follow our Instagram feed to find out where! P.S. 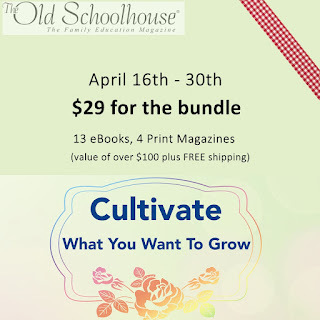 If you're a member of SchoolhouseTeachers.com, remember to go to your dashboard and sign up to have this summer's print copy of the magazine shipped to your house! If you're not a member yet, check out the scavenger hunt and maybe you'll be a prize winner! 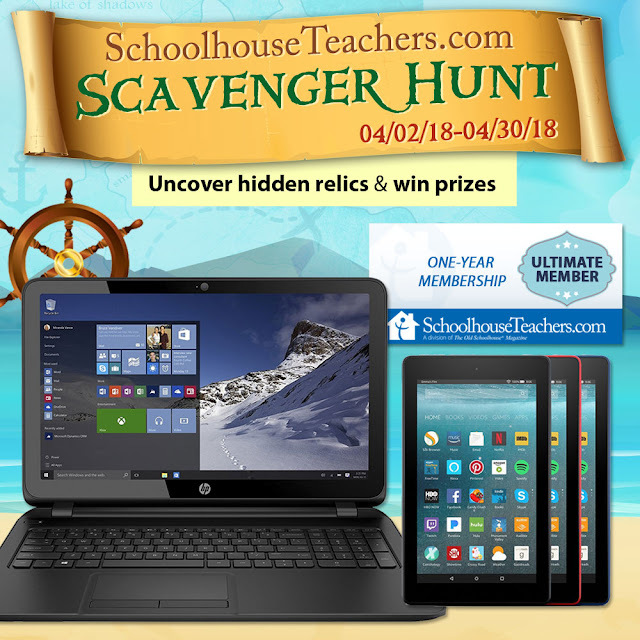 There are two weeks left in the Spring Scavenger Hunt at SchoolhouseTeachers.com and it got me to thinking... what do you do the most of in your homeschool? Do you have one subject you cover every day like maybe reading or math? Or is there one topic your children keep asking you to go back to? For us the recurring theme was and still is Nature Study. Next month Arlene will turn 18. In this last year of her homeschooling journey we are still finding ways to add nature learning into our daily learning. Just yesterday afternoon after church we took a short trip to see some birds. What kind of birds? White Pelicans! Yes, truly, we saw pelicans in Indiana! They are known for their migratory stopover in southern Indiana, but Kurt and I saw a flock of about 2 dozen of them here in Central Indiana Thursday evening and we drove the girls by to see them this afternoon. Likely by the end of the week they will have moved on, but in the interim, we got to enjoy them! On Saturday Arlene, Emily, (17 & 19) and I stopped at Conner Prairie to see some of the new spring babies in the animal encounters area. Emily used to volunteer in this area a lot, and I could tell she was feeling a little blue. So we stopped for some baby animal (therapy) fun. Lots and lots of baby goats and lambs. By the time we left everyone was smiling. Do you like to regularly take your kids out in nature, or is it a struggle for you? You do not have to live in the country to enjoy nature. We started by taking the girls out into the yard and letting them crawl around when they were less than a year old. I have an infamous picture of Arlene on the wall that shows her eating dirt just before her first birthday. Did it hurt her? No. Is it a funny memory for me? Absolutely! Does she love the outdoors? Yes! 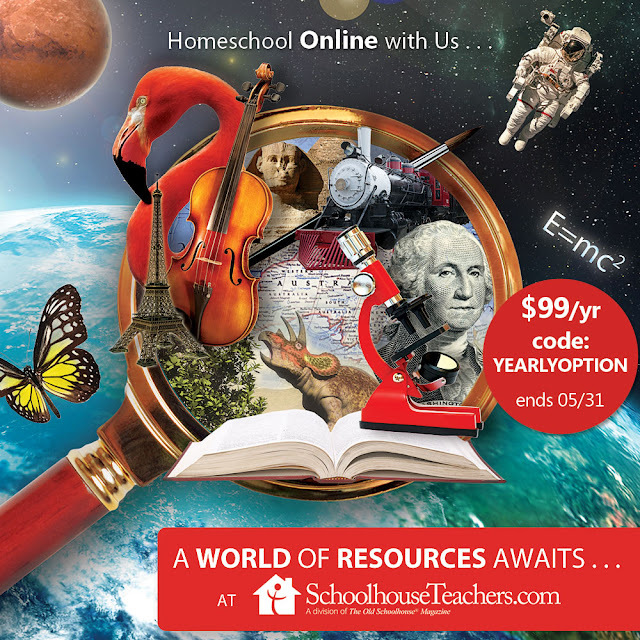 If you are struggling with finding ways to incorporate nature study or biology into your home education routine then why not check out the offerings on SchoolhouseTeachers.com? There is a Nature Journal PDF suitable for any age to use to record their finds. 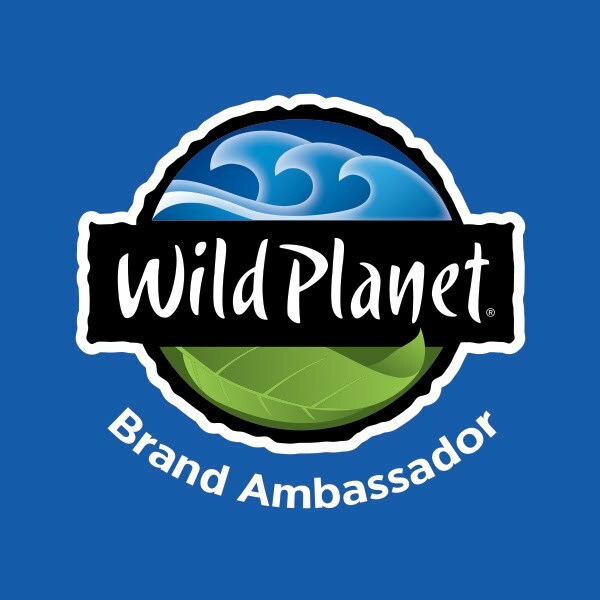 Your 3rd-6th grader might enjoy the Wildlife Adventures course. Your older students could probably learn a lot from the Biology or Botany courses. Or maybe you just want to get better at taking pictures of what you find while you are outdoors? Then check out the 30 week course in photography and learn the skills to work with your camera instead of against it! 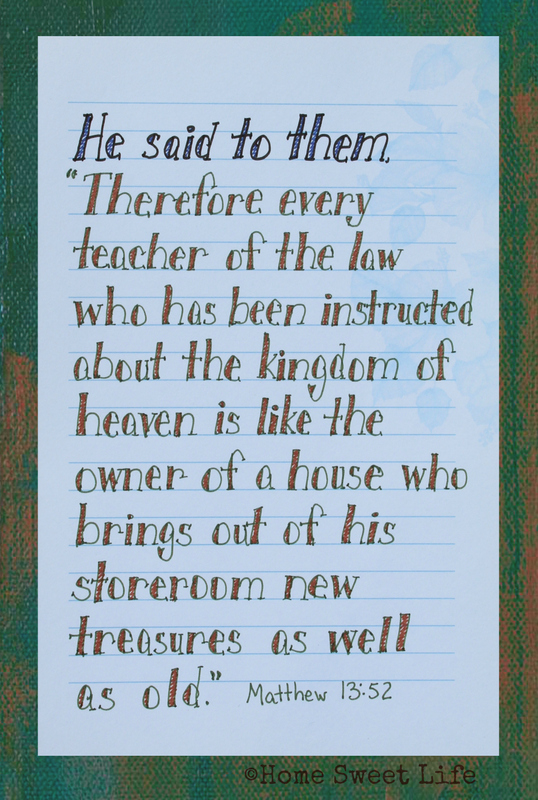 Whatever your child's interest, there is probably a course on SchoolhouseTeachers.com that can fill a need. With over 370 to choose from, why not take another look around? Remember, the scavenger hunt is only through April 30th and someone will win a laptop. 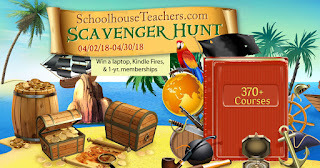 Others will win a Kindle Fire or a year's membership to SchoolhouseTeachers.com. It could be you! But only if you go play and enter! 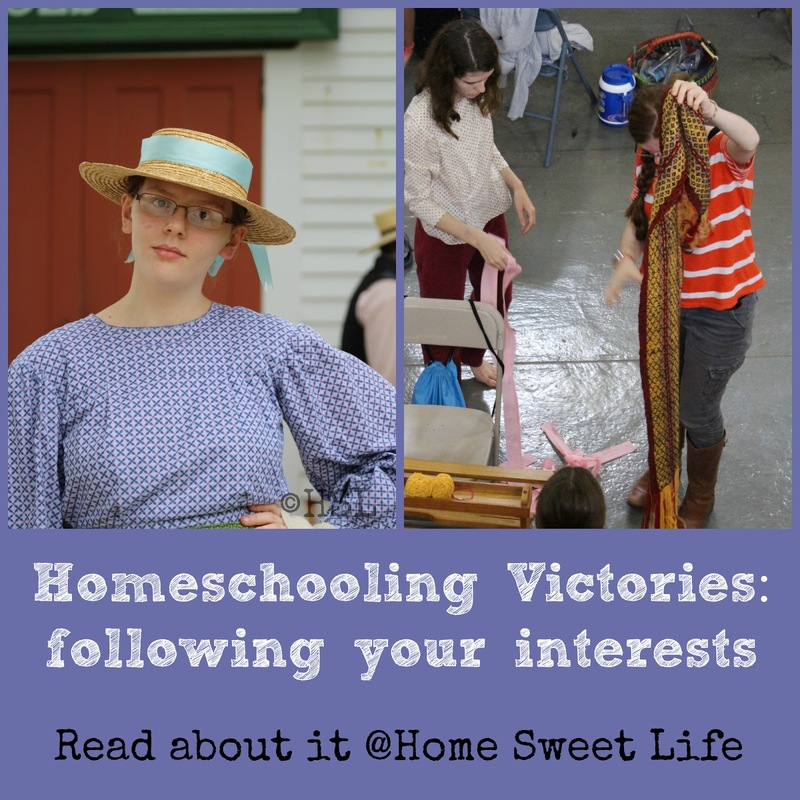 Remember that next week is the Spring Blog Hop where we will be talking about homeschooling victories! Have a great week - and get outdoors! 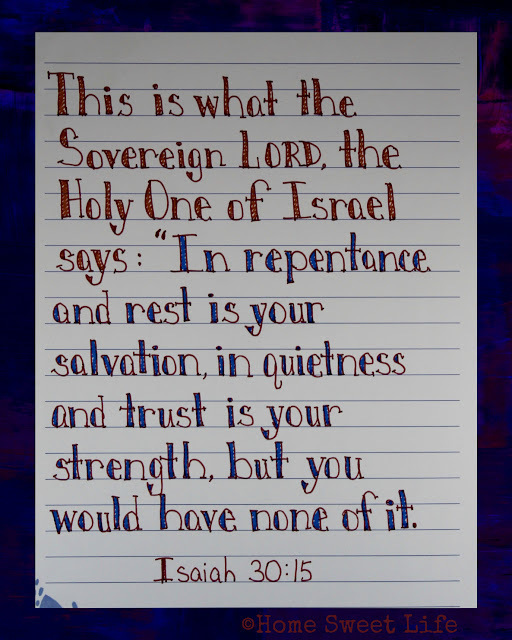 Repentance and rest, quietness and trust. 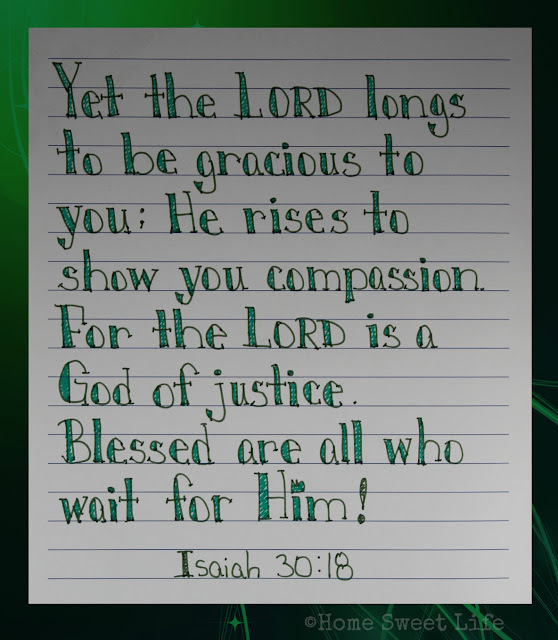 I realize that I have been resisting these things that God wants to offer to me, just as He offered it to the nation of Israel. May I choose to repent of my hardness of heart, and find the rest and quietness that He offers. Will you join me? 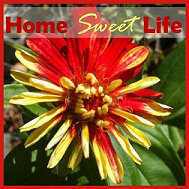 The Homeschool Review Crew will be hosting its annual Spring Blog Hop from April 23-27. 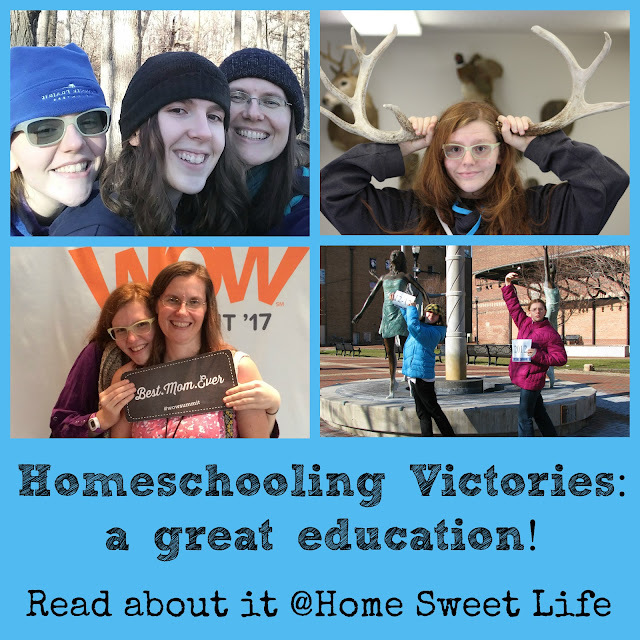 With this being Arlene's senior year of high school, I thought I'd take you back through these past 15 years of our family's homeschooling journey and share some homeschool victories. Some may seem small, but in the big picture they have become integral parts of our two girls' growth towards adulthood. How crazy it sounds when I think about 2019 and being finished with homeschooling. One thing I have learned recently, is that even after they graduate, they still need their Mama (& Daddy!) This is a new stage of life our young adults enter after high school and some loving encouragement goes a long way. I hope you'll join us each day from the 23rd-27th and find some fun, some adventure, and a lot of encouragement! How do you start difficult discussions with your teenagers? Are there topics you know you have talked about in the past, that you want to revisit, but are unsure how to bring them up again? I think all of us as parents have struggled knowing how to begin a conversation about tough issues. If you are looking for ways to either start or continue the conversation about dating with your young-adult daughters, you may want to check out the movie Princess Cut from Watchman Pictures that the girls and I watched recently. I am going to give some spoilers here, so if you just want a general overview, we give it a B. There are some characters we wish had been better developed during the 97 minute movie, and some Christian cliches that made the girls roll their eyes. It is a solid movie, and worth the watch for the right reasons, it just could have been better. 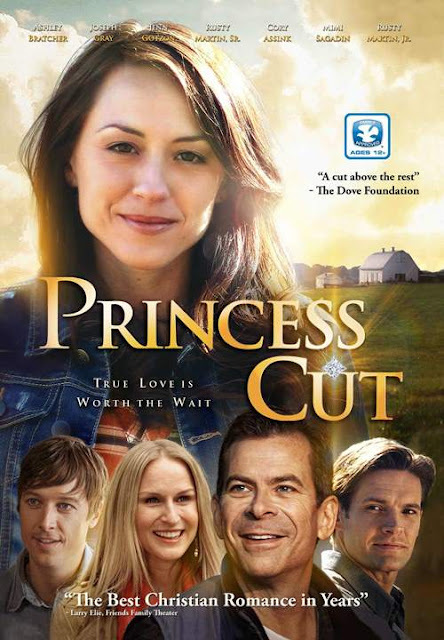 Princess Cut is a movie to reinforce the idea of waiting upon God for direction, not necessarily a movie to teach the lesson of waiting. Our girls are about to turn 18 and 20, so if they had seen this when they were 15 & 17 they might have scored it a little higher, but not much. On on overall scale, this is a family friendly movie, as there is nothing objectionable that the younger siblings should not see, but we are recommending it for ages 15 and up because once you watch it, you need to have a serious discussion about it. Which things that happen in the movie do you agree with, and which are contrary to your own family's plans or beliefs? Grace, the main character, is in her early 20's and on the lookout for Mr. Right. Grace is convinced she will know when she has found him because he will slip a Princess Cut diamond engagement ring on her finger and vow to love her forever. Before you think too harshly of Grace's dream, remember that all girls spend some sort of time daydreaming in those years between 15 and adulthood and/or marriage, and it usually involves guys. Unfortunately for Grace, the one she thinks might be Mr. Right (this time) - Stewart, turns out to be another dud. Grace is frustrated and a bit angry because she sees all the faults in these young men and wonders if she is ever going to find the right one. She has yet to realize some of the faults may be her own. 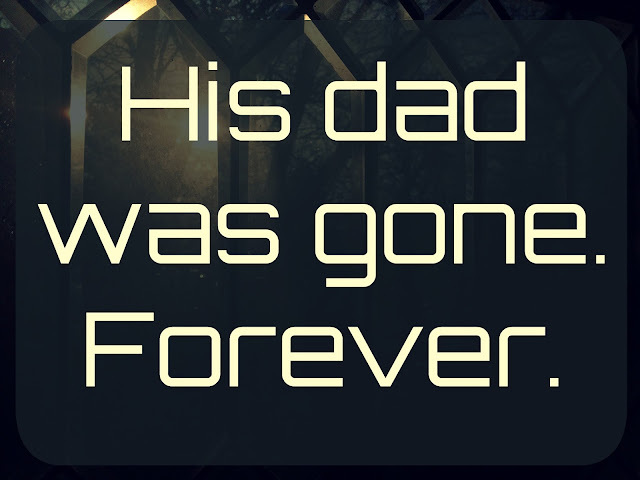 Thankfully her parents realize that Grace is struggling and her Dad takes time to talk with her about waiting upon God for her future, and about how she needs to let God change her into the person He wants her to be, instead of focusing on finding the right guy. Truer words were never spoken! At this point Grace decides to break off her dating relationship with her current Mr. Wrong - Jared, and gets a bunch of devotional and bible-study books to read. We see her spending time reading and making notes. Her attitude towards her younger brothers improves and she helps out more at home. Shortly after this point in the movie our daughter Emily (almost 20) said she wished they had developed this part of the movie better. 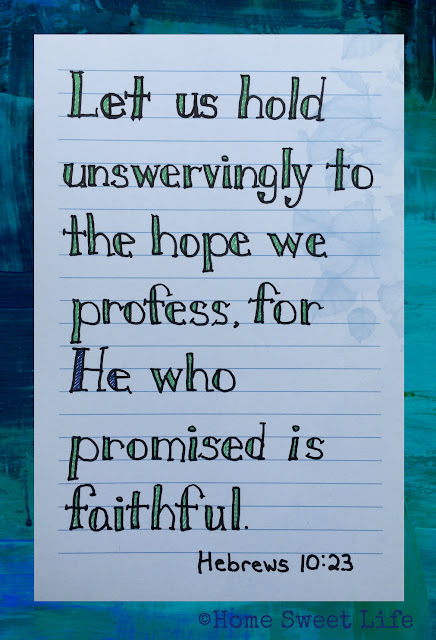 Instead of just showing Grace journaling her thoughts, Em wished they had shown her getting together with her girlfriends and talking out all of their right and wrong ideas about love, dating, and marriage and focusing instead on the Biblical mandate to trust God for our futures. The problem with that idea for this movie is that Grace's supposed best friend is a horrible influence and obviously living by Christian values. As the movie continues, we see Grace and her family spending time with their new neighbor, Clint, who turns out to be Grace's Mr. Right in the end. The movie shows a more courtship style of relationship developing, and Grace and Clint are forced to work out some real struggles brought about by the arrival of Clint's ex-girlfriend. The movie has a happy ending with Clint proposing to Grace and everyone hugging, then a brief look ahead into their married life. I'm not opposed to courtship as a means of building a relationship that will probably lead to marriage. I think overall it is a safer route than the traditional dating that many of us used in the past to find our spouses. Courtship can help protect hearts, but it is not perfect either. We are sinful people, even as Christians, and we need to be involved in the lives of our young adult children. There are some things the girls and I want you to know before watching the Princess Cut. First up: the girls both agreed that the best situation for watching this movie would be in a family or small group setting where you had been studying God's word and what it says about marriage and/or relationships. There are several good devotional and small group Bible studies available that would help your young adult daughters and their friends have good conversations about healthy relationships. Watching Princess Cut alongside one of these studies would give opportunities to discuss what Grace and her parents did right, and what they did wrong. Secondly: sadly, this movie does not focus on what to do while you are waiting for God to show you His plans for your life. There could definitely be a better development of the growing up involved while searching for God aspect of the story. Grace's character is naive and self-centered. Both of our girls pointed out that parents should not wait until their teen or young adult daughters are struggling with dating relationships to get involved in their lives. They both were sad that Grace lacked direction in her own life, as evidenced by her focus on the ring she wanted instead of the character of the man who might become her husband, so they found it no real surprise that she did not have any clue about what to look for in a boyfriend. They also wondered at Grace's best friend and her poor influence on Grace's choices, and why her parents had not been more involved along this path as well. We don't choose our children's friends, but we do want to help them understand how they can influence others for good, and how to recognize when their own friend might be leading them astray. During the movie Grace comments that she feels confused about what the right choices are, and while she thinks she knows what her parents would choose, she is not sure if she agrees. This leads me to the conclusion that Grace has not made her parents' faith or morals her own, but is adrift, needing a sure foundation from which to make her choices. Don't be turned off by our girls' assessment of the movie characters. It is still a solid movie, worth the watch, and worthy of discussion. It might be the wake-up call you need to get more involved in your children's lives. Although most teens and young adults crave the independence that comes with being older, like being able to drive, choosing their own friends and dressing in their own style, they know deep down inside that they still need the dependable guidance of their parents. Spending time tying heart-strings with your children at any age can set the stage for real conversations about all the new situations they face at this age. Learn something from Grace's parents in this movie - about asking for forgiveness when you've fallen short, and about staying involved in your child's life even when they reach adulthood. There is a vast difference between not letting your child grow into an adult and abandoning your responsibilities as a parent. We want to fall somewhere in the middle - where we heed the call of God to gently guide our young adults without trying to run their lives. Both Emily and Arlene agreed that the character of Dr. Clint Masters should have been better developed. Although we are told he is a Doctor at the local clinic, there is only one brief scene where it shows him doing any doctoring, and it is a pretty weak representation of the medical field. One point Emily wanted me to stress is that you need to talk to your girls about the movie after it is over. Princess Cut could give some viewers the impression that if you give your life over to waiting on God that you are almost automatically guaranteed to get what you want, as Grace did in the movie. That is not a true representation of how God moves. He is God, not a fairy godmother, and sometimes He tells us "No." You can purchase the Princess Cut movie on their website, where they also offer three different books about boy/girl relationships for the young adults in your life. If not one of these, please choose an appropriate title form your local Christian bookseller and continue the conversations that a the movie began. Our young adult children need parents who are lovingly involved in helping them grow into the people God designed them to be!